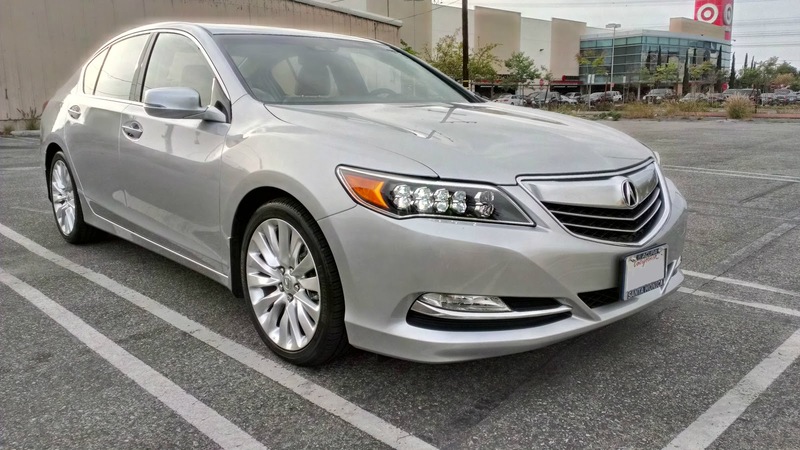 Check out our most recent update for the 2014 Acura RLX here. One of the things that the car magazines have continued to complain about with the RLX is the dual-screen infotainment system that debuted with the car in late 2013. Most of the complaints say that the system is confusing, difficult to use, or slow to respond. Most reviewers, who spend only a matter of hours with the car, never having the time to dive deep into the system to tweak its many features to suit their usage, feel that the system becomes an encumbrance to the overall ownership experience and that the design can feel dated. Of course, I will not disagree with those reviewers on the graphical design used for the interface as Acura is often noted for being a few steps behind the curve when it comes to this kind of stuff, but I will disagree about how user-friendly the system is. Upon acquiring any new car, my first order of business after getting the car home is to take a little time and study the various manuals that all modern cars come with. Usually there is the rather thick and intimidating-looking owner's manual along with a whole library of supplements for various purposes. Unsurprisingly, in a vehicle as complex as the RLX, this proved rather enlightening. There is a tremendous amount of customization available in the RLX, especially as it pertains to the setup of the infotainment and safety systems. After my research, I spent some time playing with the system to customize it for my use -- changing the color schemes, setting the behavior of the voice controls, and adjusting the responsiveness of the various safety systems. Since the settings are tied to the individual driver keys, it was possible for me to maintain my own unique configurations. With those changes, the user experience is dramatically improved. The voice controls are less infuriating, no longer reading long ridiculous prompts every single time and allowing me to quickly utilize the voice commands to do simple things, such as set the navigation or change the radio, without interruptions. It also allowed me to simplify address entry by setting the most commonly used addresses into the system for quick access and you can even set specific radio stations to the quick access shortcuts screen. The navigation display can also be tweaked to display in a new 3D view that looks far nicer than Acura's past displays. After a few days driving the car, the controls become much more intuitive. Muscle memory starts to set in and those soft buttons on the screen become significantly easier to recall without taking you eyes off the road. Best of call, the presence of real hard buttons for many commonly used functions along with the well designed steering wheel controls means that it is possible to take care of a good majority of daily use functions without removing one's eyes from the road. Of course, that is not to say that the system is not without a few serious faults. For one, the lockout of the navigation while the vehicle is in motion is a major annoyance, especially with a passenger in the vehicle. It seems like it would not take much to tie the lockout to the passenger seat's airbag safety sensor so that if a suitably heavy individual is buckled into the seat, the screen lockout does not occur so that they can operate the system while the driver focuses on driving. Another issue is the bluetooth firmware, which seems to have issues with audio playback. Songs frequently skip regardless of what phone is being used and often cut out entirely or the phone fails to connect to the car for nearly 10 minutes. These are the true usability issues that Acura should address rather than wasting time doing things that are just to placate auto journalists that seldom have to live with the cars they review. 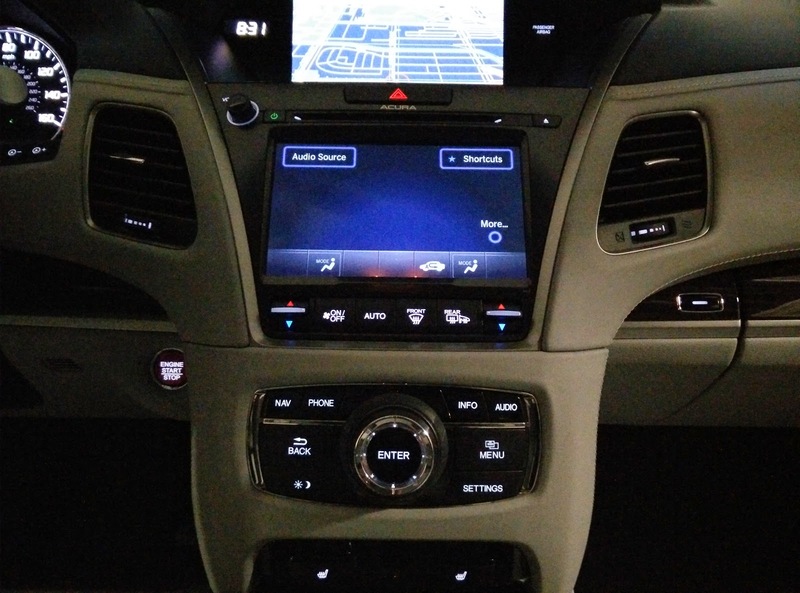 On whole, I think that the RLX's infotainment system is a huge step in the right direction for Acura. It is certainly not the most advanced or the most high tech system on the market and there are certainly a few key areas that need to be addressed. However, it is a solid effort and provides a good balance of useful functionality, simplicity of use, and real physical buttons for the right features. Now Acura just needs to take the next step and offer improved phone integration via Android Auto and Apple CarPlay to remain in the competitive mix.